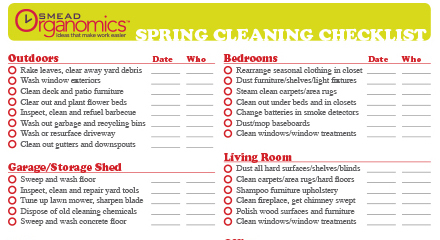 Spring cleaning isn’t just for home -- and it isn’t just for spring, either! 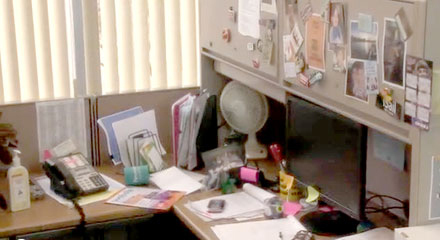 Your home or office filing system needs an occasional deep-clean, just like your kitchen cabinets and closets. So let’s get to the spring cleaning! 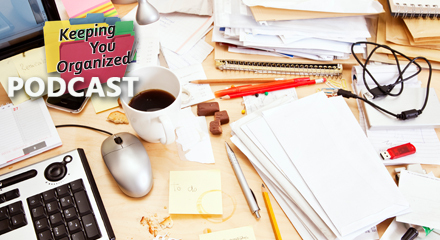 Professional Organizer Linda Samuels discusses the top five organizing challenges heard from clients and the unique ways to try to handle them. Spring cleaning is a chore that most people dread. It’s easy to get distracted with other things or get overwhelmed because there seems to be so many tasks to complete. This list will help you stay on track and hopefully make your Spring to-do’s a little less stressful. The three-pocket mini Stadium file with SuperTab file folders is ideal for clearing clutter from your workspace or counter. 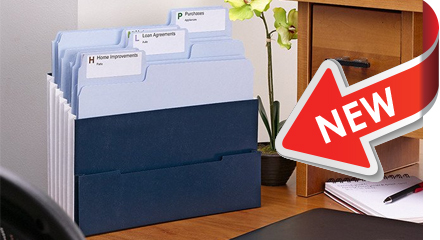 You can turn piles into files with this tiered expanding file and folder combination. See everything at a glance! It is great for organizing papers, files and incidental office supplies.